Thursday brings yet another Opening Day for Major League Baseball. It’s a day of speculation, uncrushed dreams and a culmination of months of prognosticating about who will stand tall come October. 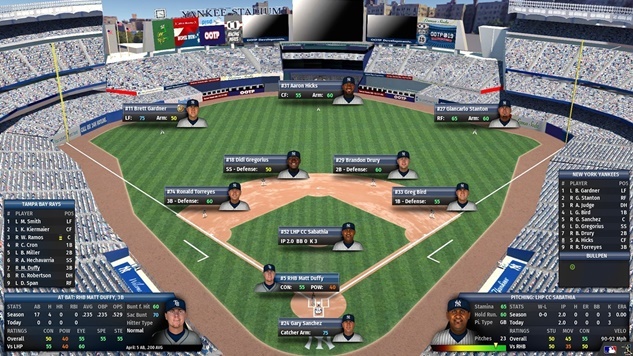 The sport’s top management sim videogame, Out Of The Park 19, isn’t exempt from such practices. The game that gives players control across the extensive history of the national pastime took to MLB Network on Wednesday evening to deliver its predictions for the 2018 season. After running 1000 simulations, the game predicted a World Series contest between the Los Angeles Dodgers and Cleveland Indians, two teams who have come dangerously close to winning it all over the last few years. Ultimately, OOTP 19 put the Dodgers over the top, which should delight fans in southern California. The game correctly predicted the Houston Astros’ World Series Victory last year. Other notable results from the simulation saw three American League East teams make the playoffs, the New York Yankees, Boston Red Sox and Toronto Blue Jays, and the Washington Nationals collect another National League East title before ducking out in the NLDS yet again. The game also offered its clairvoyant powers to the major MLB individual awards. According to OOTP 19, the New York Yankees’ Giancarlo Stanton and the Cincinnati Reds’ Joey Votto will take home League MVP honors, and the Cleveland Indians’ Corey Kluber and L.A.’s Clayton Kershaw will be the Cy Young winners. We don’t know how the top baseball sim came up with Votto in that spot, but, hey, that’s the beauty of Opening Day. Everyone has hope, and even the longest of shots still have a modicum of faith and momentum behind them, all the way up to the first pitch. Let the season begin.